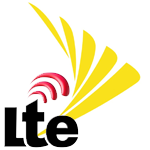 Meanwhile, Sprint's deployment of LTE on their 1900MHz spectrum is still on track for commercial launch by mid-2012. By the end of 2013, the company plans on having LTE coverage more expansive than their current CDMA network, covering 250-277 million POPs. Tarazi also indicated plans to move voice service from CDMA 1x to LTE, launching the first VoLTE devices in the first quarter of 2013. This is a rather exciting bit of information, as it means users will (one day) be able to talk and surf the web at the same time, something AT&T subscribers have been enjoying for some time now. As for WiMax, Tarazi said that Sprint's agreement with Clearwire will allow them to continue supporting the network for many years. Sprint will also continue to invest in its EV-DO network to keep 3G going. All in all, it looks like Sprint is preparing to give their service a huge overhaul, and LTE-Advanced coupled with VoLTE should be pretty exciting news for subscribers.